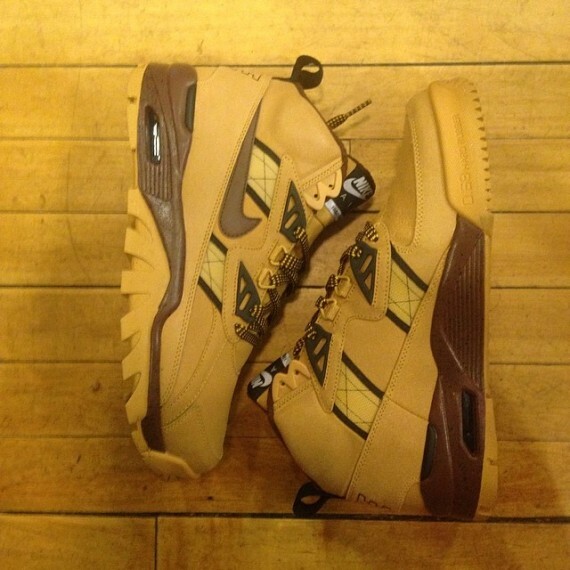 Nike Sportswear unveils a never before seen 'Winterized' version of the Bo Jackson-endorsed Air Trainer SC. Likely releasing sometime this fall, this all new SC Trainer is hit with boot-like upgrades such as a rugged outsole and a heel pulltab. Wheat nubuck covers the entire upper, working together with hits of brown over the Swoosh logos, collar lining and midsole below. Stay tuned to Sole Collector for further details on the 'Wheat' Air Trainer SC by Nike.